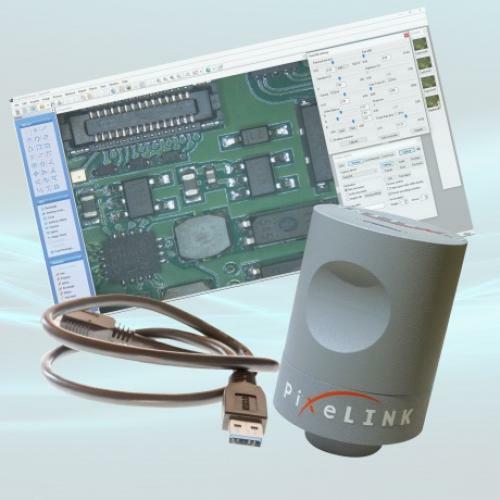 Pixelink USB 3.0 Microscopy Cameras provide high-resolution imaging capability for both bright field and dark field microscopy and offer excellent color reproduction. Our USB 3.0 cameras offer resolutions of 1 to 15 Megapixels, fast frame rates and high resolution. Offering both global and rolling shutter sensor options and the ability to specify a region of interest, our cameras are ideal for a number of applications that include histology, pathology, hematology, materials science, semiconductor inspection, metrology, documentation & archiving, and more.